If you follow me on Instagram, you might have noticed that I've been putting together a little party! This Friday, November 1st, I'm hosting it's a little gathering to celebrate the release of my book, Modern Bee. 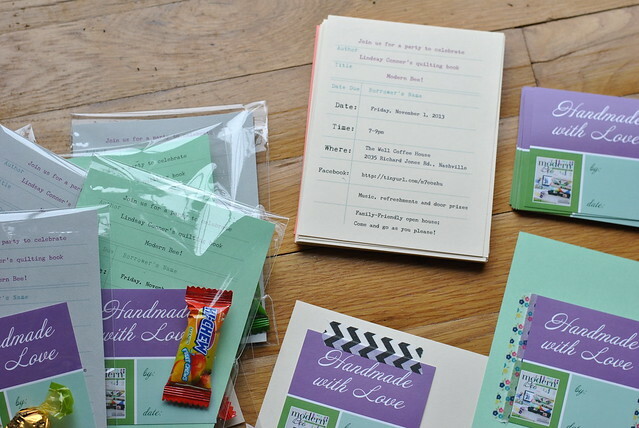 I had a lot of fun planning the decor, refreshments (stay tuned for pics of the much-anticipated book cookies!) and entertainment. My friend, musician Joel Levi, will be playing some songs and I'm excited to introduce my family and guests to the wonderful little coffee shop in town called The Well, which donates a percentage of proceeds to help build wells in Africa. These are some invitations I printed and dropped off to the ladies at my local fabric shop, complete with stickers designed by my friend Mary! You can find more details about the party and RSVP on Facebook. 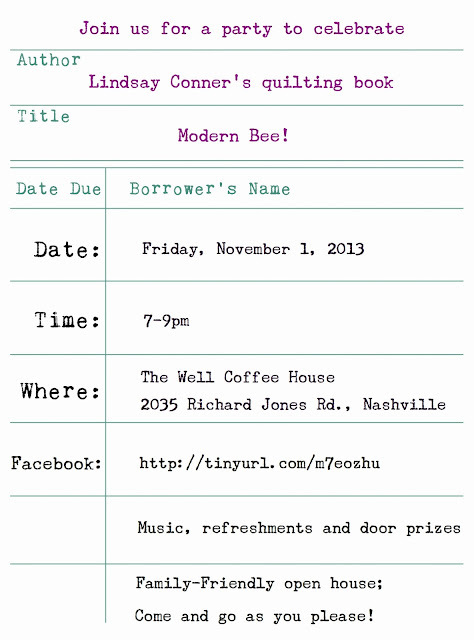 If you're local to Nashville, Tennessee or willing to drive in, I hope you'll join us! Wish I was going to be in town, I'd be first in line! Most significant mistakes people help make is usually that online poker game titles include the exact same. There's a difference among different online poker game titles that is certainly crucial that you fully grasp. Additional exclusively; the big difference among a property online game plus a On line casino online game is vital to recognise.